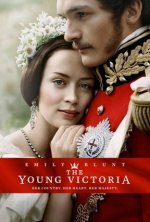 The Young Victoria Movie credits Her Country. Her Heart. Her Majesty. added the tagline: "Her Country. Her Heart. Her Majesty. "